Our product range includes a wide range of acid resistant epoxy floorings, decorative epoxy floorings, acid resistant floor & wall coatings, epoxy car park flooring, antistatic / esd flooring and epoxy floor & wall coatings. Two component acid resistant coating followed by epoxy screed for providing thickness, it is highly resistant to most of the available acids. Thickness: 500 micron, 1mm, 2mm, 3mm. Two component acid resistant coatings for floors, walls and tank lining etc. it is highly resistant to most of the available acids. Thickness: 500 micron. 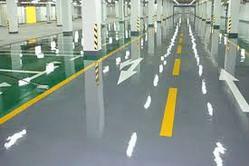 Multilayer, highly abraison resistance, non-skid, coloured epoxy based car park flooring with 1.5 to 2mm thickness. 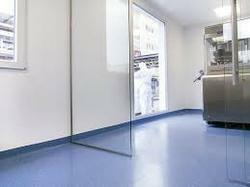 Three component multi layer, self leveled, electrostatic charge dissipiating or Anti-Skid flooring with desired colour shade and required properties, best for operation theatres and semi-conductor rooms. Two component epoxy based coloured coatings for walls and floors for higiene environment, thicness: 200 micron to 500 microns. 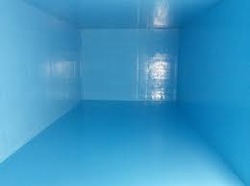 Looking for Epoxy Floorings ?